While the relationship between Idaho’s two GOP congressmen has been famously prickly – in 2015, news surfaced that U.S. Reps. Mike Simpson and Raul Labrador hadn’t spoken in six months – Russ Fulcher, the GOP nominee for Labrador’s seat, says if he’s elected and Simpson wins an 11th term, he’ll get along with Simpson. 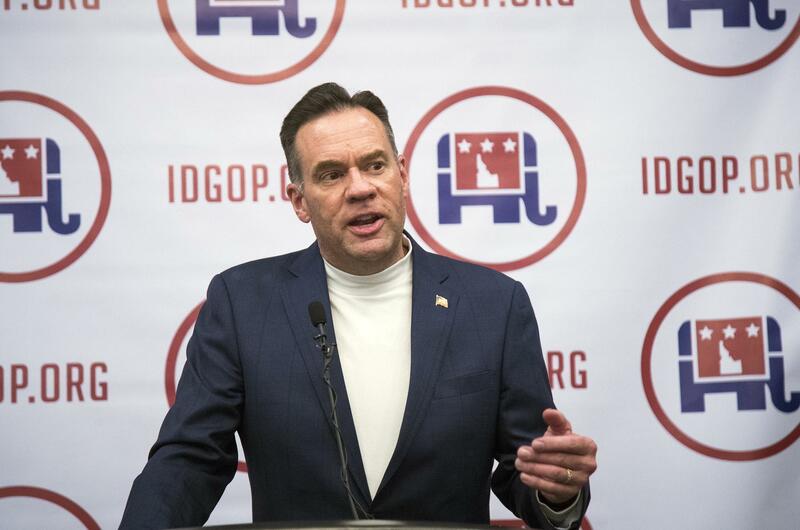 Fulcher noted that his first Washington, D.C., fundraiser after the primary election, in which he won a seven-way Republican primary with 43.1 percent of the vote, was co-hosted by Simpson and U.S. Sen. Mike Crapo, R-Idaho. Fulcher faces Democrat Cristina McNeil in November; she won a three-way Democratic primary in May with 69.7 percent of the vote. When Fulcher had a motorcycle accident shortly after winning the GOP primary for Congress, his injuries were extensive: He broke nine ribs in two places; broke his clavicle; broke his scapula; and had a collapsed lung. He spent eight days in the hospital and had two surgeries; not long after, he returned to the campaign trail despite quite a bit of pain. Tim Hill, associate deputy state superintendent of schools and a renowned numbers expert who’s worked under three state superintendents, spoke out last week about an error in the numbers in Superintendent Sherri Ybarra’s initial budget request, saying it was all his fault. Hill said he made the $100 million error when transferring formulas from a complex model for the state’s teacher career ladder, for which the state contracted with a professor five years ago. Kris Rodine, public information officer for the state Department of Education, said in retrospect, she wished she hadn’t included Hill’s name in Ybarra’s press release announcing the correction, but she said Hill insisted on being named. Ybarra had originally called for raising top teacher base salaries in the career ladder up to $58,000 next year, rather than the planned $50,000; after the error was discovered, she lowered that to $52,000 to match the dollars she’d allocated.